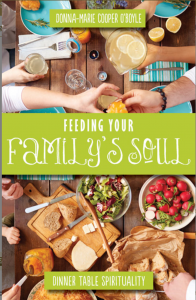 Paraclete Press has come out with a delightful book to help families practice the presence of God and help make dinner fun. I wish I had written this book! Click on the image to learn more and make sure to buy and use this book for the good of your family. This will help prevent the regrets so many families have when the kids leave home and leave the faith and parents realize they didn’t do the simple things that keep kids Catholic and keep the family together. And while you are at it, my advise is to get rid of the television. Not much better thing you can do for your family. DVD’s, www.Formed.org, and other controllable sources, yes. But network and cable TV, no. My dad refused to get me a TV (for which I am eternally grateful), my kids were raised without TV and now my 16 grandkids don’t miss a TV either because they have been raised to love books and games together. “The Sinner’s Prayer” – All You Need to Get to Heaven? When I was a kid, the “Sinner’s Prayer” was a big deal. It was at the heart of everything we knew about Jesus and getting saved. It was almost used as an incantation. It never dawned on me as a young man that such a prayer is never found in the Bible. Nor do we ever see anyone coach sinners to pray such a prayer. The Bible never encourages us to “ask Jesus into our heart.” And the whole idea of sins forgiven into the future with no guilt for future sins is – so unbiblical that I can’t even believe now I ever believed it. I am grateful to my good mother for loving Jesus and wanting me to be saved. She believed what she was taught and never questioned the Baptist tradition she learned after hearing Billy Graham. But now that I have read widely and studied these matters from Scripture and the early Church I realize there is much amiss with this Sinner’s Prayer. The Catholic Church is the fullness of the faith and explains salvation as faith in Christ, repentance and water baptism. You never find St. Paul espousing such a prayer nor St. Peter on the day of Pentecost. 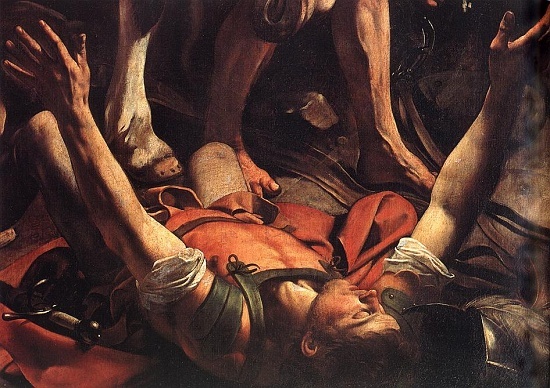 My, it is good to be Catholic and cling to the rich and full teaching of the faith. One of my old favorite Protestant writers, A. W. Tozer wrote, “I believe that a true ‘sinner’s prayer’ will gush out of anyone who is truly seeking God and is tired of being enslaved to sin. (Matthew 5:6) The very act of ‘leading someone in a prayer’ is utterly ridiculous. You will find nothing even remotely like it in the Bible, or among the writings and biographies of those in Church history. It completely savors of crowd and peer pressure tactics, and (please forgive me) brainwashing techniques. I do not believe that Jesus wants to have his disciples ‘repeat after Me,’ I believe He wants them to follow after Him!